To make this familiar summer sound, the male cricket holds his nerve and “stridulates” – rubbing his back legs together in order to entice a female. He knows this makes him vulnerable. What a female cricket can find, so too can the predators and parasites that wish to consume or infect him. Hiding in the vegetation, he is also surrounded by a silent audience of other males. Those “sneakier” males do not sing themselves, but will try to intercept females as they approach a singing rival. It is this dramatic scene that plays out as we hear the crickets and grasshoppers calling on warm evenings. Or at least it did. Because the crooning of the crickets has quietened in recent years and may be becoming a thing of the past. There is strong evidence that large numbers of crickets and grasshoppers (known, along with mantises, earwigs and cockroaches as the “Orthoptera”) are declining across Europe. A 2017 review of European species showed that over 30% of the 1,000 European species were in decline while only 3% were increasing. As with many insects, we simply don’t know what is happening to most of the rest. The problem is that recent work has suggested that all insect species, including Orthoptera, are declining – the so-called “insect Armageddon”. Among the species threatened is the delightfully-named “wart-biter” – so-called because of an 18th century Swedish practice of using the strong jaws of the cricket to remove warts from the skin. The wart-biter is now the focus of conservation efforts, including reintroductions into sites from which it has been lost. But this kind of intensive conservation simply is not possible for all species. The reasons behind the decline in crickets and grasshoppers are the standard fare. The loss, damage and fragmentation of habitats, largely as a result of increasing farming and urbanisation, as well as increasing rates of fires such as those that the world is experiencing in 2018. 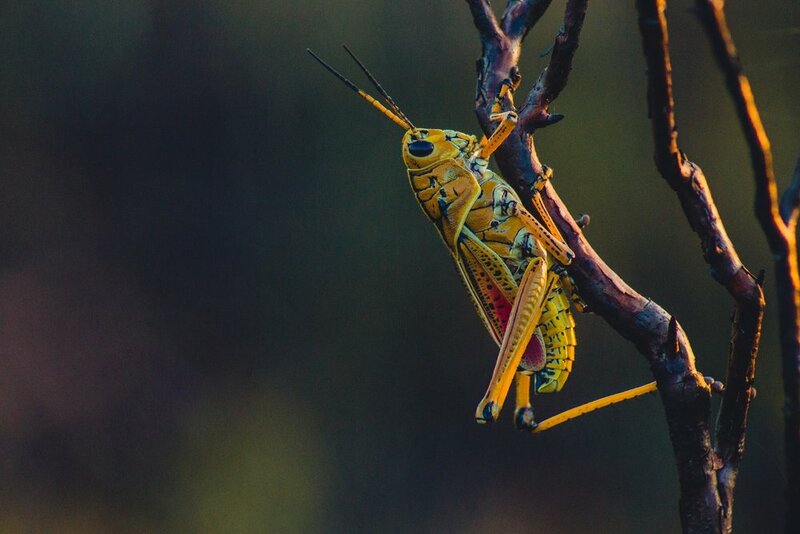 Crickets are often held to be indicators of good quality natural habitat, so their decline mirrors the ongoing decline in the wider natural world. Anybody who has spent any time in the world’s most natural places will know that natural “soundscapes” are neither peaceful nor serene – they are as noisy and busy as any urban high street. The crickets are just one part of the larger soundscape that provides the musical accompaniment to nature’s play. Depending on where you live, you might hear bird song, flowing water, the buzzing of bees, the roar of tigers, the rustle of leaves, or the calling of frogs. In 1962, Rachel Carson famously wrote about the “Silent Spring” caused by the effects of agricultural pesticides on songbirds. Now we are beginning to appreciate that other components of the natural world are falling silent. This is why some scientists are turning to “soundscape ecology” or “ecoacoustics” as a tool to understand the changing natural world. This new scientific field gives conservation biologists another tool – an ecological stethoscope with which to listen for subtle changes in the environment. But in order to protect the soundscape we need to protect the landscape. At a time when land is at a premium for food production, housing and industry, we need to make space for nature.